Back in May during the iFXEXPO, Forex Magnates got the chance to meet with many startups to hear about their future plans and progress of existing ventures. 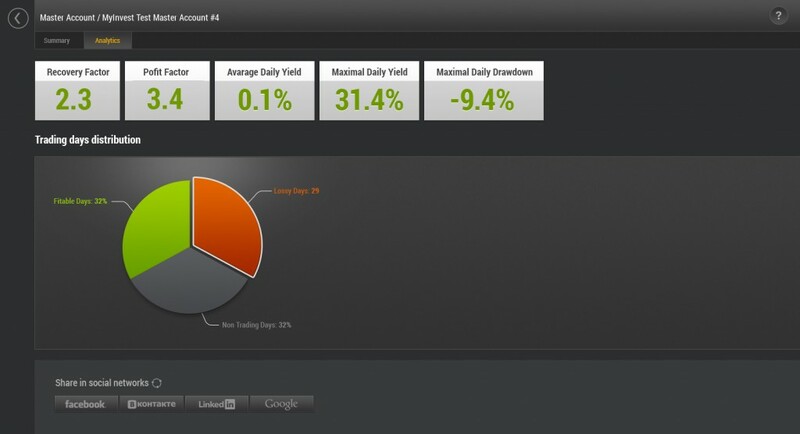 Among different firms, two products that we witnessed a lot of activity in were social/copy and algorithmic trading. Both revolve around the same idea of automatic trading. Whereas social/copy utilizes a leader and follower approach, algorithmic firms were mostly developing ‘do it yourself’ no programming skills needed, strategy solutions. 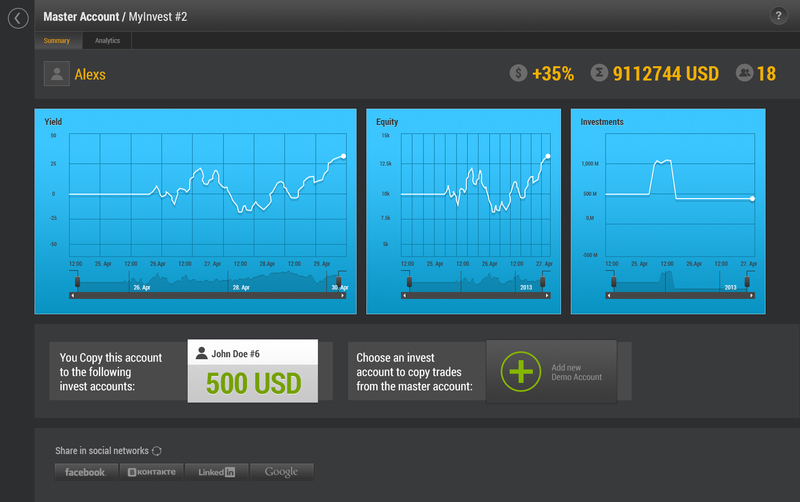 In the area of copy trading, MyInvest is a new venture that is currently hitting the market. Founded by Dmitry Orlov, who was the creator and the main ideologist of Alpari’s PAMM based product, MyInvest is a copy trader service that aims to combine benefits of managed accounts and social trading. The firm is currently pitching itself as a solution for brokers to offer their clients trade copying and is available as a fully branded integrated product. First to launch the product are GKFX and its Russian subsidiary, GKFX.Ru. Learning more about the product and how it distinguishes itself from various other products that are in the market, Forex Magnates spoke to Alexey Semichastnov, Project Manager at MyInvest. Semichastnov explained that MyInvest targeted creating a product that met the needs of both brokers and clients. As a result, he added that there is a lot of flexibility in terms of how the product is able to be operated by brokers, as well focusing on execution quality. In singling out advantages, Semichastnov mentioned ‘quality of copying, money management, simplicity, and flexibility’. In terms of other platforms, Semichastnov explained that similar to being an open-broker product, they are ready to support all trading platforms such as cTrader, MT5, and QUIK. He added that MyInvest is also equipped to offer services and plans for brokers offering non-forex products that include equities and derivatives trading. 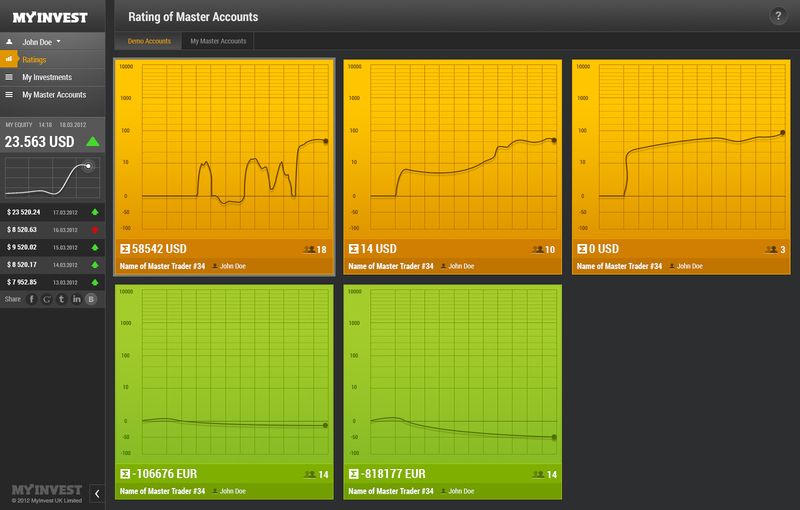 It will be interesting to see how MyInvest performs and its reception from traders. For brokers, the product provides firms the ability to offer a branded copy trading solution to clients. While the idea isn’t new, and there are several existing products on the market, there have been concerns among users in regards to product quality of current offerings. Nonetheless, several brokers have been quite positive about the existing products, specifically with the trio of Australian based forex brands, Go Markets, Vantage FX, and Enfinium leveraging their combined customer base with one auto trading solution. Overall, due to the simplicity of copy versus discretionary trading, demand for auto trading products remains high among brokers. Since the beginning of the year we have several of the larger brokers who were later adopters launch branded offerings or partner with third party firms. As such, while MyInvest enters a crowded market, demand remains well paced which could boost the product’s chances of succeeding.